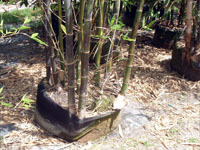 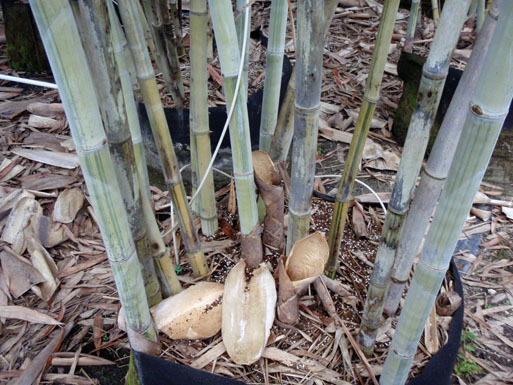 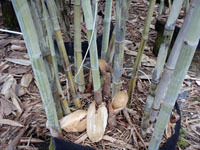 Bamboo will put a container to the test. 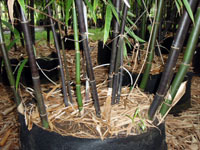 These bamboo are stretching the durable fabric of the JackPot, but they are remaining contained. 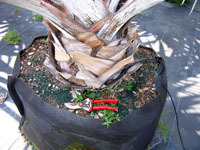 If this was a typical plastic nursery container, the pot would be split and subsequent expensive repotting would be necessary. 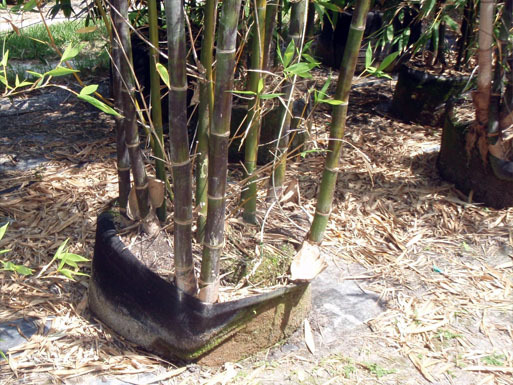 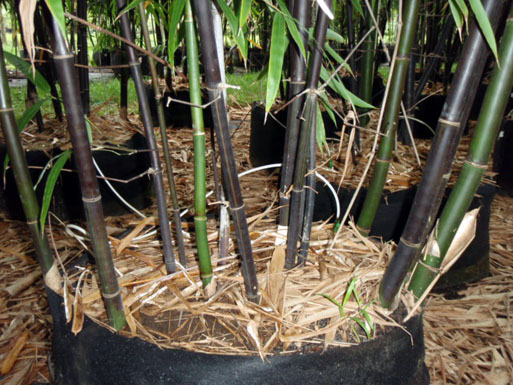 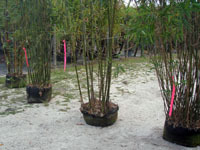 Containment by the JackPot provides for a very full 45-gallon Dendrocalamus minor amoenus "Angel Mist Bamboo." 45-gallon Bismarkia in JackPot; note bag integrity!